E Moore Store has something for everyone on your gift giving list! For the kids and kids at heart -- Block Set: These bright and fun blocks are hand painted (non-toxic) and even come with a handy storage box! 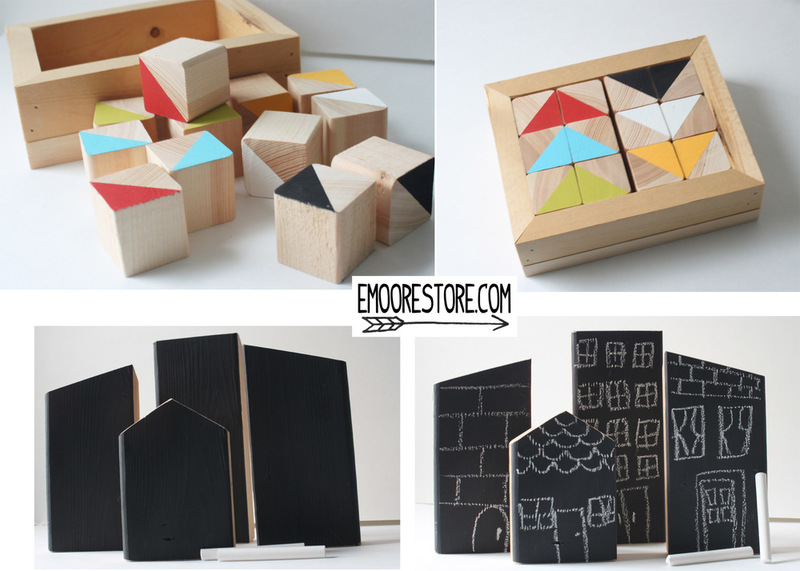 City Blocks: For the budding architect! A chalkboard surface allows for a little artist to put their spin on these block buildings. Marshmallow Shooters: Fun for the whole family! Bonus- For moms a little weary of marshmallows ending up all over the house, shooters also work great with Nerf darts or cotton pom-poms. 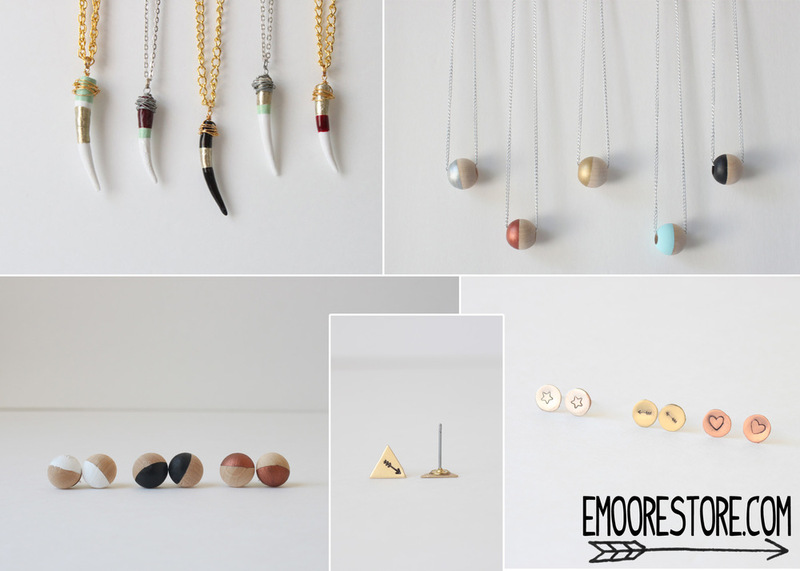 For the ladies -- E Moore Store’s jewelry adds a fun touch to every outfit! Spike Necklaces: Hand sculpted polymer clay is painted and wrapped in wire to create a fun tribal look. Wooden Earrings and Necklaces: These hand painted pieces will soon be your new go-to pieces! Metal-Stamped Earrings: Metal-Stamped by hand, every pair carries its own individual charm. 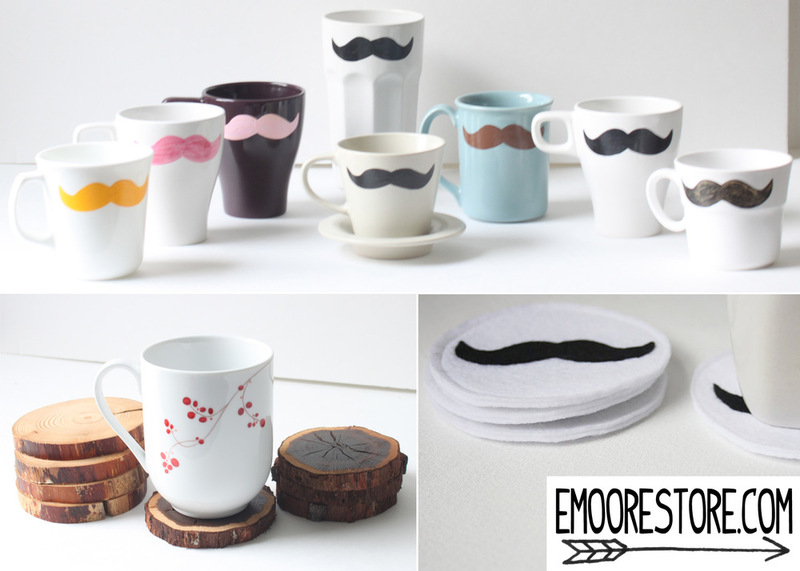 For Everyone -- Mustache Mugs: #1 Top-Seller in my Etsy shop! Mustaches are hand-painted using a special food grade paint. Mugs are microwave and dishwasher safe! Mustache Coasters: Great stocking stuffer! Hand sewn felt coasters. Wooden Coasters: The gift for the person who has everything! Or something fun for Dad. These coasters are made from aspen and oak tree branches and are finished with a waterproof clear coat. Check out my website, Facebook page, and Etsy shop. I'll be at the show December 12-14.